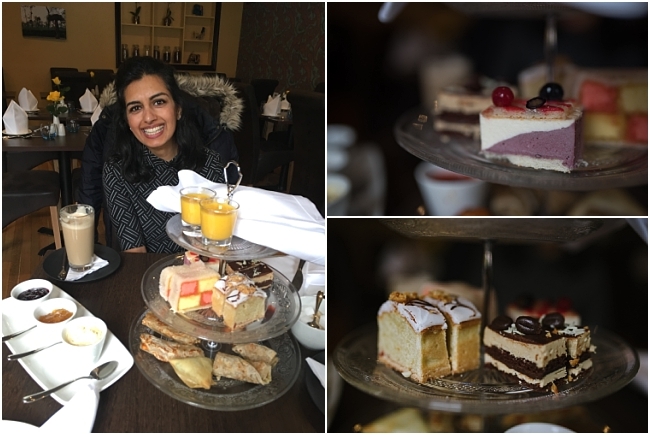 I was invited along to Uckfield's newest Indian restaurant, Amira's Kitchen, to try their "High Chai" afternoon tea with a twist. They're currently offering 2 for 1 throughout March too which makes it excellent value! If you haven't seen it, Amira's Kitchen is where Ben's Place and Twisted Lemon used to be, just behind Allsorts on the corner of the High Street and Grange Road. They've decorated tastefully with rich teal colours and their own photos of Bangladesh on the wall giving a lovely personal touch to the family run business. 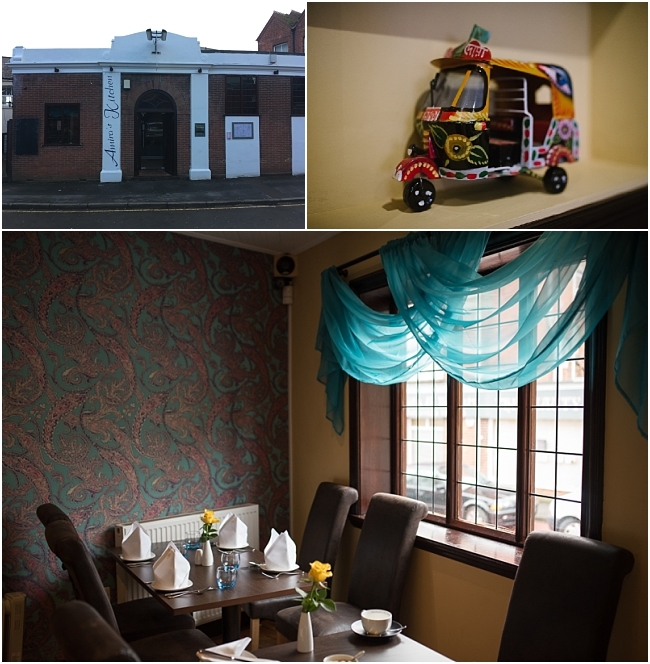 Lauren and Towfique have created a beautiful cosy restaurant with a refreshing, simple exterior and offer a range of special Indian and Bangladeshi dishes, street food and their afternoon tea with an Indian twist. I went along on Saturday afternoon with my friend Hemina (while Nik stayed home studying for his exam while the twins napped) and we had a lovely time. All the staff were welcoming and friendly and we had a good chat with Lauren about their food and plans for the future. As for our tea, we were offered a full tea chest with many options of tea but both opted for coffee instead. The hot savouries are made fresh so we were advised of a short wait but our food came swiftly and they explained our tiers and jams when they arrived. We started at the bottom with delicious, moist chicken tikka with paratha, paneer kathi roll, sheek kebab roll and vegetable samosas. Everything was so tasty, I really liked the meaty options and felt the portions sizes were ideal. They had really good authentic flavours and were served with a homemade mango & chilli chutney which had a bit of a kick to it which was perfect for me although Hemina would have preferred more heat. The samosas were perfectly crisp and tasted so fresh. After perusing their yummy sounding street food menu and chatting with Lauren, we suggested it might be nice to mix this layer up a bit with some of the other street food options to have a little less in the way of bread but I really loved this Indian tier. Next we moved on to our warm scones before they cooled down too much. We had plenty of clotted cream between us and the jams were amazing! Homemade by Lauren's brother-in-law who runs a chocolate shop, we had the choice of blackberry & Kaffir lime or mango, lime & chilli, although we couldn't really taste the chilli. I loved both of them, it was great to have something different from the usual strawberry or raspberry and they were both so scrumptious with the plain scone. The scones themselves are made by a local supplier and were light and tasty. This tier also had homemade Mango Lassi which added the perfect touch in a little shot glass. Our final layer were the cakes. I'd say these were our least favourite but Lauren hinted they are working on making this layer quite different in the future. Currently the cakes are also from a local supplier and although nice enough, we were a bit disappointed with this layer. The Battenberg was rather too sweet for my liking and the chocolate & coffee cake had not a hint of coffee. The third cake had more of a mousse base which I think was blueberry but was pretty forgettable to be honest. The Amaretto cake, however, was delicious with a really nice almond flavour and nice texture. 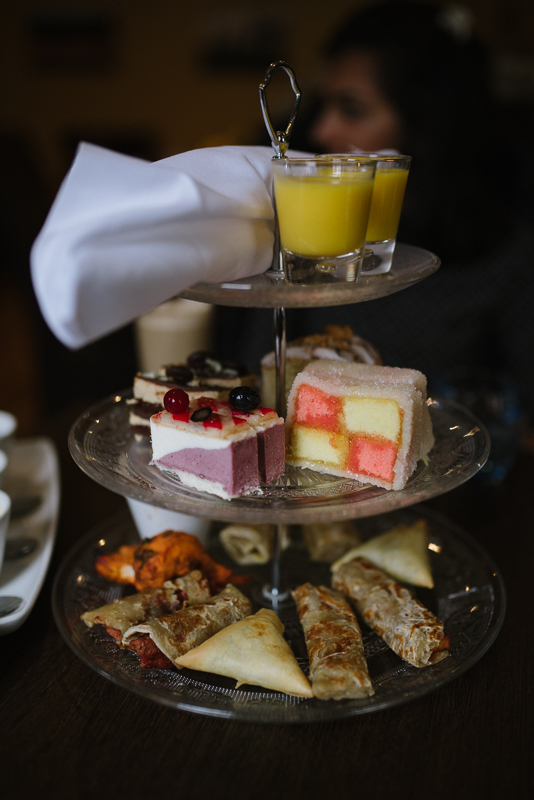 I'd love to see this cake tier have an Indian twist too to make the whole thing really stand out but I have to say, their High Chai is already great with such a different take on afternoon tea. After chatting with Lauren, it sounds like they have plenty of ideas in the pipeline so I'm really keen to see what they come up with! I definitely want to try some of the food from their other menus too so I'm already organising a WI Supper Club meeting to check it out one evening in April. It was quiet when we were there (I suspect everyone was waiting for Mother's Day the next day to sample the afternoon tea) but the atmosphere wasn't entirely lacking. As I mentioned, the decor was lovely and we had traditional Indian music playing in the background. The staff were so welcoming and service was excellent. 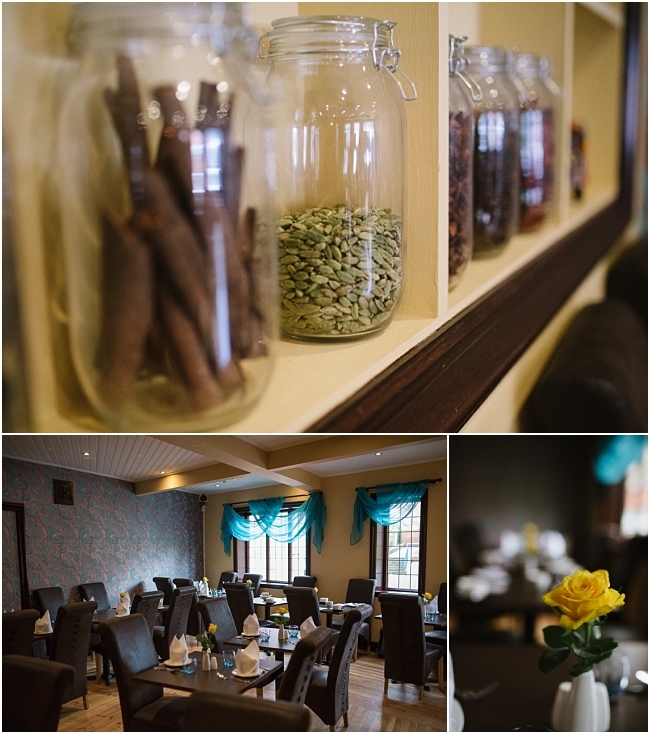 I loved the little touches like the mini tuk tuk and jars of spices as well as a fresh yellow rose on each table brightening up the room. 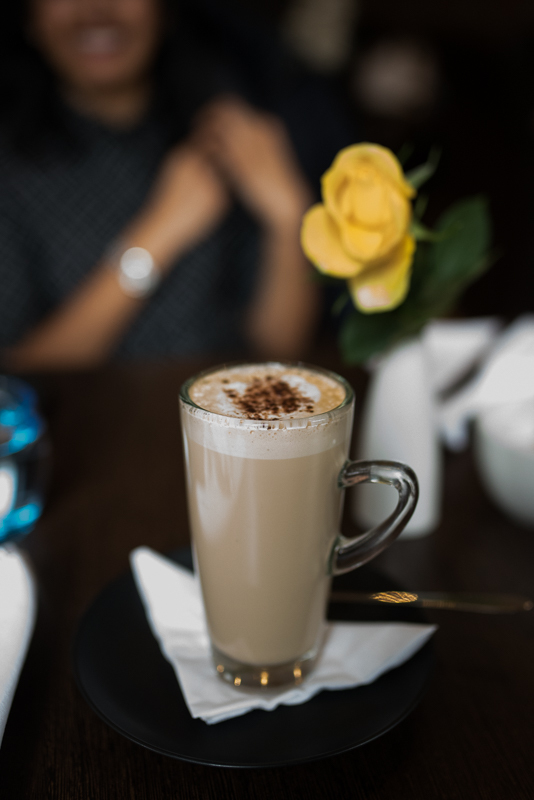 High Chai at Amira's Kitchen costs £15.95 per person with optional Prosecco at £5.25 per glass. 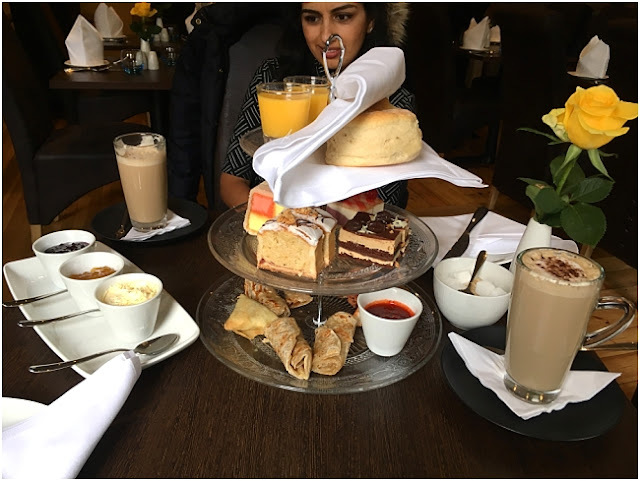 At the moment I've given the food a 6.5 as the cakes were disappointing but I think this will easily increase with their new ideas and I plan to update this in the future as better cakes would also make it better value for the £15.95. 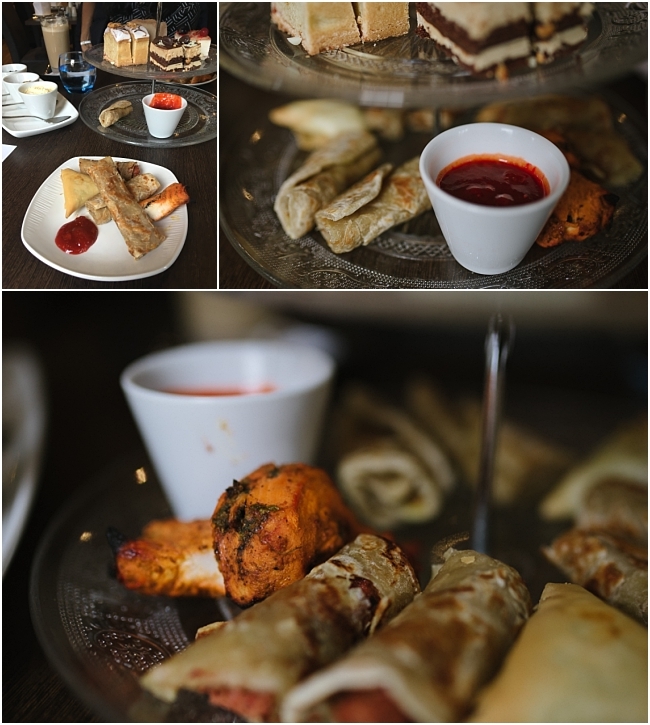 I loved the overall idea and the scones and Indian savouries were seriously good. I wouldn't hesitate to recommend this as an alternative afternoon tea. Hemina and I received High Chai for two in return for this review. All opinions are honest and my own.